Last December, Daniel Pipes described A New Strategy for Israeli Victory, based on the continued failure of the peace process in its many manifestations and iterations. On the one hand, deterrence could not be maintained indefinitely because of its unpopularity internationally and the way it wore Israelis down. On the other hand, diplomacy became the new way to go -- and seems to be prepared to keep going, indefinitely, with no success. the key concept of my approach, which is victory, or imposing one’s will on the enemy, compelling him through loss to give up his war ambitions. Wars end, the historical record shows, not through goodwill but through defeat. He who does not win loses. Wars usually end when failure causes one side to despair, when that side has abandoned its war aims and accepted defeat, and when that defeat has exhausted the will to fight. Conversely, so long as both combatants still hope to achieve their war objectives, fighting either goes on or it potentially will resume. Despite the fact that he Arabs lost every war with Israel, in 1948, 1956, 1967, 1973, and 1982, they never saw their defeat as the end. Instead, they looked ahead for another opportunity to make war against Israel. When Palestinian “martyrs” cause material damage, pay for repairs out of the roughly $300 million in tax obligations the government of Israel transfers to the Palestinian Authority (PA) each year. Respond to activities designed to isolate and weaken Israel internationally by limiting access to the West Bank. 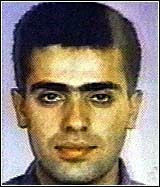 When a Palestinian attacker is killed, bury the body quietly and anonymously in a potter’s field. When the PA leadership incites violence, prevent officials from returning to the PA from abroad. Respond to the murder of Israelis by expanding Jewish towns on the West Bank. When official PA guns are turned against Israelis, seize these and prohibit new ones, and if this happens repeatedly, dismantle the PA’s security infrastructure. Should violence continue, reduce and then shut off the water and electricity that Israel supplies. In the case of gunfire, mortar shelling, and rockets, occupy and control the areas from which these originate. These are described as "examples for Washington to propose," a key point since imposing these measures will require the support and assistance of the US to allow this proposed change of Israeli policy. In other words, this Israel Victory Project would not have been feasible and would never have gotten off the ground during the Obama Administration. Now, during the Trump Administration, there may be a chance. 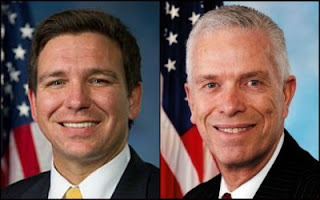 Reps. Ron DeSantis (R-FL) and Bill Johnson (R-OH) will launch the Congressional Israel Victory Caucus (CIVC) on April 27 at 9 a.m. The caucus' goal: to introduce a new U.S. approach to Israel-Palestinian relations. Cong. Johnson notes that "Israel is America's closest ally in the Middle East, and the community of nations must accept that Israel has a right to exist – period. This is not negotiable now, nor ever. The Congressional Israel Victory Caucus aims to focus on this precept, and to better inform our colleagues in Congress about daily life in Israel and the present-day conflict. I look forward to co-chairing this very important caucus with Cong. DeSantis." At the time, no Democrats had joined the group. That means supporting Israel’s taking the tough steps outlined above, from burying murderers’ bodies anonymously to shuttering the Palestinian Authority. It means diplomatic support for Israel, such as undoing the “Palestine refugee” farce and rejecting the claim of Jerusalem as the Palestinian capital. It also entails ending benefits to the Palestinians unless they work toward the full and permanent acceptance of Israel: no diplomacy, no recognition as a state, no financial aid, and certainly no weapons, much less militia training. this change won’t be easy or quick: Palestinians will have to pass through the bitter crucible of defeat, with all its deprivation, destruction, and despair as they repudiate the filthy legacy of Amin al-Husseini and acknowledge their century-long error. But there is no shortcut. Similarly, the criticism is no less direct. Among supporters there is some disagreement too. Sherman is vehemently opposed to the idea, noting that historically there is little to support the idea that the demand for Palestinian statehood is a genuine grievance. Six months after the formal announcement of the Israel Victory Project, the strategy is still taking shape and support is still being drummed up. Considering the need for US support to make this work and the political uncertainty facing both the Trump Administration and the Republican majority in Congress, the Israel Victory Project may not have much time to establish itself.